Anirudh Singh has 4573 articles published. Harmanpreet Kaur, Smriti Mandhana and Mithali Raj will captain the three sides in the Women’s T20 Challenge 2019, as the BCCI announced the squads for the exhibition matches on Thursday. The 2018 edition had just players from England, Australia and New Zealand take part in the first ever Women’s T20 Challenge, played at the Wankhede Stadium in Mumbai. This time around, the tournament will also have players from Sri Lanka, Bangladesh and the West Indies, giving it more flavour from around the world. Australian cricketers, however, will not be present during this edition, meaning the likes of Alyssa Healy, Beth Mooney, Meg Lanning, Ellyse Perry and Megan Schutt will be missing. This year a third team, Velocity, will join the the Supernovas and the Trailblazers in a four match-contest scheduled to take place during the IPL 2019 play-offs. The matches will be played between May 6 and 11 at the Sawai Mansingh Stadium in Jaipur. It is no secret that Chris Gayle and Virat Kohli are good friends. Not long back, both the star batsmen shared the same dressing room for Royal Challengers Bangalore (RCB), but now they have split, thanks to Kings XI Punjab getting Gayle onboard. 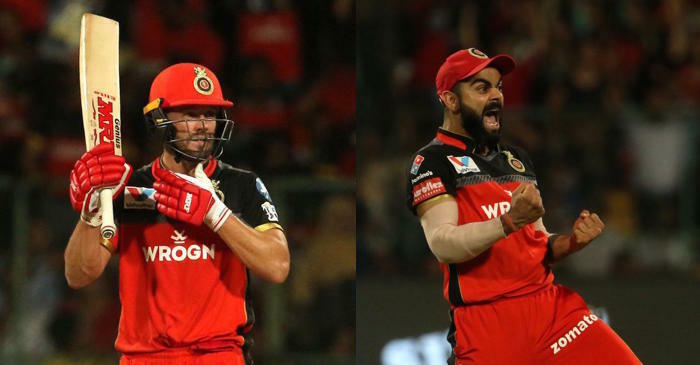 After RCB beat KXIP by 17 runs in a last over thriller at M. Chinnaswamy stadium on Wednesday, both Gayle and Kohli were seen doing their signature move in front of the Bengaluru crowd. When Gayle represented RCB, after every win and match-winning performance by one of the two cricketers, the crowd got to see their unique way of celebration. Now, Gayle might be playing for another franchise, but there is no love lost between the two and their bromance still remains the same. It is always a good gesture to see Gayle and Kohli greeting in style. “We won 4 out of the last 5 we have played, it could have been 5 out of 5. We are just looking to enjoy our cricket. Tonight was another example of having fun. The partnership of ABD and Stoinis changed the match for us. At one stage we thought 175 was good but AB and Marcus got us past 200. The way they played was the deciding factor. Our only focus was to play good as a team, we know that we are a good side, losing 6 in a row hurt all of us,” said Kohli at the post-match presentation after winning their fourth match out of the last five. A four-match Women’s T20 challenge, comprising three teams, will be held during the Indian Premier League (IPL) 2019 playoffs, the Board of Control for Cricket in India (BCCI) recently announced. The round robin matches of the tournament will be played on May 6, 8 and 9 while the final will be played on May 11 with all matches taking place at the Sawai Man Singh Stadium in Jaipur. The tournament will comprise of the Supernovas, Trailblazers and Velocity – all of whom will play each other before the two teams with the most points compete in the final. While the full list of players is yet to be confirmed, Smriti Mandhana, Mithali Raj and Harmanpreet Kaur are expected to lead the three sides. The BCCI had experimented with Women’s T20 exhibition match that was played last year prior to the first play-off game of the men’s IPL at the Wankhede stadium in Mumbai. The Mandhana-led Trailblazers had clashed with the Harmanpreet-led Supernovas with the latter winning by three wickets in a last ball thriller. Elite women cricketers such as Ellyse Perry, Alyssa Healy, Suzie Bates, Meg Lanning and Sophie Devine had taken part in the match last time around. All matches will be telecasted live on Star Sports Network. Dale Steyn has been ruled out of the Indian Premier League (IPL) 2019 with an injured shoulder after playing just two matches for the Royal Challengers Bangalore (RCB). Steyn joined RCB last week as replacement for Nathan Coulter-Nile in the world’s biggest T20 tournament. He has been included in South Africa’s 15-man squad for the ICC Cricket World Cup starting next month. The 35-year-old missed RCB’s match against Kings XI Punjab on Wednesday with skipper Virat Kohli saying the speedster had a “shoulder niggle”. Steyn has been asked to take “ample rest due to inflammation in his shoulder,” Royal Challengers chairman Sanjeev Churiwala said in a statement. “Dale will not be available to take part further in the ongoing season of IPL,” he said. South Africa’s team manager, Dr Mohammed Moosajee reasoned the need to get the pacer on the recovery process at the earliest. “Dale felt discomfort after playing his second match at the tournament. Upon assessment and subsequent investigations, a flare-up of his right shoulder was confirmed,” said Moosajee. Steyn’s inclusion provided an instant impetus to RCB’s bowling unit, particularly in the new-ball passage as the pacer struck twice in each of the two encounters that he was part of. Steyn’s exit means that New Zealand pacer Tim Southee will have to step up, unless the team management opts for one of the Indian fast bowlers to take up the spot. The defending champions Chennai Super Kings (CSK) once again moved to the top of the IPL 2019 points table after beating Sunrisers Hyderabad (SRH) by 6 wickets on Tuesday. CSK have 16 points from 11 games, having lost just 3 games so far. A haul of 16-points is considered as the benchmark for reaching to the playoffs and CSK has achieved that mark with 3 games still left to play. They are being considered as favourites for the IPL 2019 title but CSK fans would be not just surprised but rather shocked to know that their overseas player Sam Billings has flown back to England and won’t be available for the remaining part of the tournament. Though Billings was not a certain starter in the playing XI, he was their first preferred choice when a foreigner picks up an injury. Now, he will be a part of his domestic side Kent. He will also be playing his first game of the ongoing Royal London One-Day cup on Thursday against Glamorgan in Cardiff. The flamboyant striker of the ball had an impressive stint with the Super Kings in the 2018 season of IPL. He has been their best batsman in the middle overs, which helped them to win the title, even though returning back to the tournament after 2 years. The 27-year-old right-handed batsman was retained by the Chennai-based franchise for IPL 2019. Last year, he played 10 matches and scored 108 runs. During an Indian Premier League (IPL) 2019 clash between Royal Challengers Bangalore (RCB) and Kings XI Punjab at the M Chinnaswamy stadium in Bengaluru, fans got to witness another animated send-off from Virat Kohli. Chasing 203 to win, KXIP needed 27 runs off the final over. Captain Ravichandran Ashwin came to the crease and smashed Umesh Yadav’s first delivery for a huge six. Ashwin hoped for the same result on the next delivery too but he mistimed his shot and the ball went straight to Kohli, stationed at the long-on boundary. After safely completing the catch, Kohli went on to mock Ashwin’s mankad attempt with gestures while spewing expletives. The RCB skipper appeared miffed at Ashwin, perhaps for his over the top celebrations after dismissing Kohli earlier in the match. The wild celebration and swear words did not go down well with Ashwin either and the Kings XI skipper threw his gloves to the dugout in disgust while walking back. After the match, when asked about the send-off, Ashwin defended his equal number saying that they both are passionate players. “I just play with passion and so does he,” Ashwin said at the post-match press conference. As far as the match in concerned, RCB continue to stay afloat as they beat KXIP by 17 runs in Bengaluru. Sent in to bat, AB de Villiers’ unbeaten 82 off 44 balls took RCB to a formidable 202/4. In reply, Kings XI Punjab finished at 185/7 in their full quota of 20 overs. 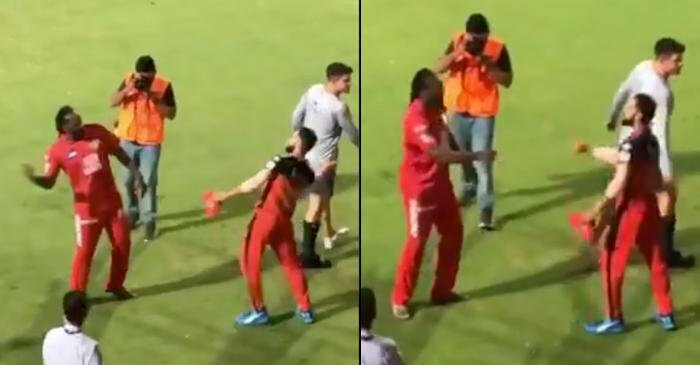 A bizarre incident involving umpires left players confused and in splits at the same time during the 42nd match of IPL 2019 between Royal Challengers Bangalore and Kings XI Punjab at the M Chinnaswamy Stadium in Bengaluru on Wednesday. It all happened during the first innings of the match. Murugan Ashwin bowled the last ball of the 14th over and to which Marcus Stoinis eked out an inside edge to square leg for a single. It also brought the game to a halt as the umpires called it a Strategic Time-out and KXIP skipper Ravichandran Ashwin instantly handed over the ball to the business end umpire, Bruce Oxenford. Given the fact that Chettithody Shamshuddin was going to be at the bowling end after the Time-out, Oxenford instantly gave the ball to his colleague as players went for a 2.30 minutes break. Later, Ankit Rajpoot was asked by Ashwin to bowl the 15th over but when he took the mark, he was waiting for the ball. When the Punjab pacer asked for the ball, everybody started looking for it. In desperation, Ravichandran Ashwin started searching for it, then Oxenford came forward to ask Shamshuddin about the ball. After a few minutes of searching, Shamshuddin remembered that he had kept the ball in his pocket and found it out instantly. Everyone was in chuckles and Oxenford was smiling at his colleague’s forgetfulness. RCB star batsman AB de Villiers also couldn’t control himself at a moment of sheer comedy. AB de Villiers produced a masterclass with the bat and Navdeep Saini’s brilliant penultimate over kept Royal Challengers Bangalore (RCB) afloat as they beat Kings XI Punjab by 17 runs at the M Chinnaswamy Stadium in Bengaluru on Wednesday. De Villiers’ unbeaten 82 off 44 balls took RCB to a mammoth 202/4 but things could have gone awry with KXIP wicketkeeper-batsman Nicholas Pooran (46 off 28 balls) hitting five sixes at the rear. It was then when Saini sealed the deal for the hosts in the 19th over where he conceded three runs and took two wickets. KXIP finished at 185/7 in their 20 overs and RCB are now on eight points with three games left — moving away from the bottom of the table. With four wins in the last five games, the Royal Challengers will hope to win the remaining three and expect a few favourable results to make it to the play-offs as rank outsiders. So Umesh Yadav redeeming himself tonight but must say Navdeep Saini was superb. And @ABdeVilliers17 what fielding from him. How can he not play the World Cup! 3 for @RCBTweets on the trot. 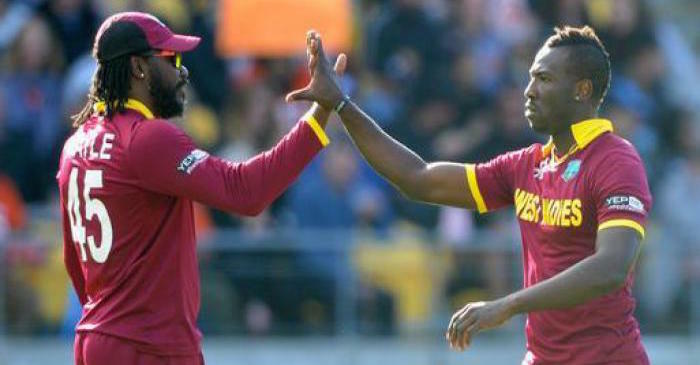 The West Indies named star players Chris Gayle and Andre Russell in their 2019 World Cup squad on Wednesday, although all-rounder Kieron Pollard was among those left out. Big-hitting opening batsman Gayle returned to the Windies ODI set-up during their 2-2 series draw against England earlier this year, scoring two hundreds and two fifties in four innings. Russell did not feature against England and has been struggling with injuries, playing a limited role with the ball in the ongoing Indian Premier League (IPL) for Kolkata Knight Riders (KKR). But he has been in fine form with the bat, and will bring vital power hitting to the middle order for the two-time world champions in England and Wales. Pace bowler Shannon Gabriel, who played the most recent of his 18 ODIs in 2016, has also been recalled. All-rounder Fabian Allen was preferred to spinners Devendra Bishoo and Sunil Narine. Teams can make changes to their squads before May 23 – but can only alter them after that in the event of injuries, with any changes needing to be approved by the International Cricket Council (ICC). West Indies will compete against Ireland and Bangladesh in a triangular one-day series from May 5-13, before starting their World Cup campaign against Pakistan at Trent Bridge, Nottingham on May 31. Six players – Sunil Ambris, John Campbell, Jonathan Carter, Roston Chase, Shane Dowrich and Raymon Reifer – are in the tri-series squad but have not made the cut for the World Cup. Jason Holder (c), Fabian Allen, Darren Bravo, Carlos Brathwaite, Sheldon Cottrell, Shannon Gabriel, Chris Gayle, Shimron Hetmyer, Shai Hope (wk), Evin Lewis, Ashley Nurse, Nicholas Pooran, Kemar Roach, Andre Russell, Oshane Thomas. In the 2019 ICC Cricket World Cup, West Indies begins its campaign at Trent Bridge on May 31, against Pakistan. Royal Challengers Bangalore (RCB) vice-captain AB De Villiers, on Wednesday, got his dancing shoes on at the Chinnaswamy Stadium in Bengaluru during the 19th over of the first innings against Kings XI Punjab, smacking three consecutive sixes off Mohammed Shami, the last of which landed on to the roof of stadium. The former South Africa skipper, who is adoringly called ‘Mr. 360’ by his fans, remained unbeaten on 82 off 44 balls including seven sixes and three fours. Meanwhile, all-rounder Marcus Stoinis – 46 not out off 34 balls – compounded the misery of the KXIP bowlers as he scored 20 off the last four balls and RCB collected 27 from the last over of the innings. With the help of unbeaten 121-run stand between De Villiers and Stoinis, RCB posted a mammoth total of 202 for 4 on the scoreboard. During the 42nd match of the ongoing 12th season of the Indian Premier League (IPL) between Royal Challengers Bangalore and Kings XI Punjab at the M. Chinnaswamy stadium in Bengaluru, the inform fast bowler Dale Steyn wasn’t picked in the playing XI by the hosts. 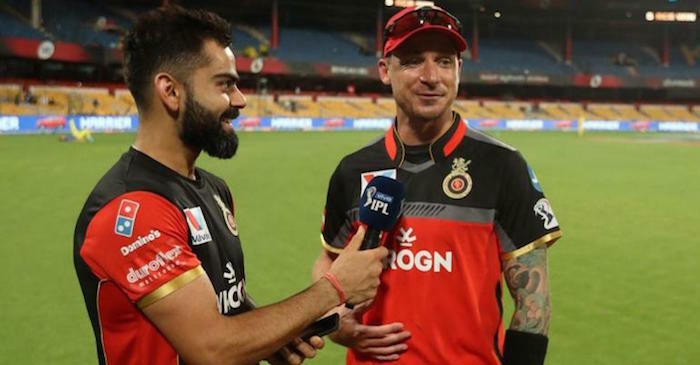 Been a game-changer for RCB with the new ball since his arrival in the IPL 2019, there was not even an iota of doubt that Steyn will be missed in front of his home crowd. Steyn’s average of 17.25 and a strike rate of 12 in a couple of matches has fared well for the Royal Challengers. Speaking during the toss, RCB skipper Virat Kohli revealed the reason behind not including the veteran fast bowler. “After six losses, we’re just thinking about enjoying our game. And that’s what we’re going to do here too. It’s the other teams that have to worry about the playoffs. Dale Steyn has a shoulder niggle,” Kohli was quoted as saying. “Lost eight out of 11 tosses now. Not really focussing on these things too much. Last game also we lost the toss, looked like we’d lose the game too, but we came out on top. No team wants to play against a team that has already lost six in a row. Cause we have nothing to lose and we’re on a roll,” Kohli added. In Steyn’s absence, RCB recalled Tim Southee into the final. In the two matches which the Kiwi pacer has played in the ongoing IPL, he picked only one wicket at an average of 85, an economy rate of 14.16 and a strike rate of 36. The Red Army also included right-arm off-spinner Washington Sundar in place of left-armer Pawan Negi. MS Dhoni has made clear that he is unwilling to risk a serious injury that could rule him out of the upcoming ICC Cricket World Cup. The 37-year-old has faced troubles with his back in the recent past and was even forced to miss an IPL 2019 match owing to this injury. After Chennai Super Kings’ win against the Sunrisers Hyderabad at the Chepauk on Tuesday, the seasoned campaigner revealed that for now, the back is holding up perfectly, but with the World Cup coming up, he has to monitor it carefully. “The back is holding up, it’s not getting worse, with the World Cup coming up, can’t afford that, because that’s too important,” Dhoni said at the post-match press-conference. He also said that at the highest level, there aren’t any players who are not playing with a niggle or two. The CSK skipper in fact had to sit out of the previous match against the Sunrisers due to a back spasm. “If it becomes worse, I certainly will take some time off but at this level you play with some niggle or the other. Because if you wait to get fully fit, then there will be a gap of five years between two matches,” Dhoni said cheekily. With CSK having all but sealed a birth in the play-offs, the veteran wicketkeeper could well opt out of the remaining three matches. The Super Kings, who are currently placed at the top of the table, are next scheduled to compete against Mumbai Indians on Friday. The foreign players have begun their exodus from the Indian Premier League (IPL) 2019, with the English cricketers being the first ones to leave the tournament midway. While Jonny Bairstow has already played his last game for Sunrisers Hyderabad (SRH) on Tuesday, Royal Challengers Bangalore (RCB) all-rounder Moeen Ali is set to feature in his last on Wednesday. England, Australia and South Africa, are few of the nations who had clarified that they would want to have their players back for the ICC Cricket World Cup preparation before the ongoing IPL concludes. Also England have a series against Ireland and Pakistan before the World Cup camp begins. Only the Kiwi and Afghan players, along with those from other countries who have retired or not in the World Cup squad, will be available for the entire tournament. Since the Windies cricket board hasn’t announced the World Cup squad yet, there’s uncertainty over the availability of their country players. These players clearly add more glamour to the cash-rich league with their presence and if they are asked to leave midway, it would be a huge loss for the tournament. It’s difficult to get noticed in a team that contains Virat Kohli and AB de Villiers, but Moeen Ali has definitely made his presence felt at Royal Challengers Bangalore this season. While Kohli (387), de Villiers (332) and Parthiv Patel (283) have more runs than Moeen (216), his runs have come at the best strike-rate of anyone in the team – 168.75. Moeen played crucial roles in Royal Challengers winning their two most-recent matches. His 66 off 28 balls set the platform for a 200-plus total against Kolkata Knight Riders, and his 26 off 16 ensured Royal Challengers piled on enough – just about – to beat Chennai Super Kings. However, the 31-year-old all-rounder is not happy leaving the T20 extravaganza at a stage when RCB has a realistic chance of making the cut for the playoffs stage. “It’s not ideal. I think it’s worse when there are three games to go. If there were 6, 7 games, it was a little more understandable. And knowing that there could be a chance of going through if we win all our games, then you miss out on a potential semifinal and stuff, but I will definitely keep an eye out and see how they are going, hoping that we are winning all our games,” Moeen told the reporters on eve of Royal Challengers’ match against the Kings XI Punjab on Wednesday. Moeen also heaped praise for Dale Steyn, who has already made an impact in the two games he has played. The South African speedster replaced Nathan Coulter-Nile and has picked wickets in the powerplay, something RCB lacked badly in the first eight games. “Dale has been a huge impact. We did not take wickets in the power-plays. If you take four wickets in power-plays, most of the time you win matches. He has been a class act. The way he swings the ball is a brave thing to do. Probably that has been the missing factor, which cost us games,” Ali mentioned. Chennai Super Kings (CSK) skipper MS Dhoni was at his cheeky best when asked about the secret of reaching to the Indian Premier League (IPL) play-offs for a record number of times since the inception of the tournament. 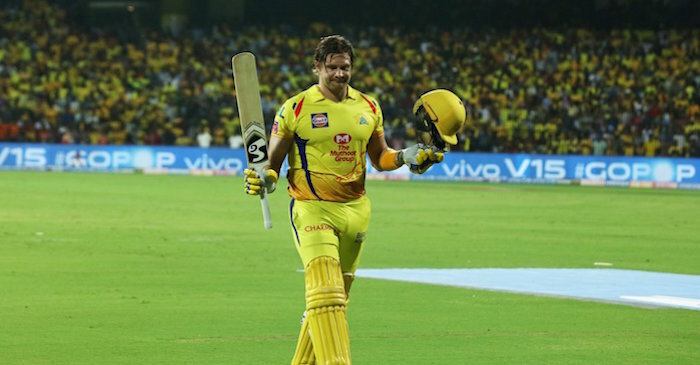 Shane Watson turned back the clock in stunning style and hit a sensational 53-ball 96 to power CSK to a six-wicket win over Sunrisers Hyderabad (SRH) at the Chepauk Stadium on Tuesday. With this win, the Yellow army has reclaimed the top spot on the IPL 2019 points table and have sealed a place in the knock-out stages of the cash rich league. The Super Kings have reached the play-offs for the 10th time in 12 seasons (they were suspended in 2016 and 2017). When Dhoni was asked about his team’s secret for such level of consistency, the CSK skipper responded with a funny answer. “If I tell everyone what it is, then they (CSK) won’t buy me at the auctions. It’s a trade secret. The crowd support and franchise’s support are key of course,” Dhoni said while speaking to Harsha Bhogle during the post-match presentation. “Huge credit has to also go to the support staff who play a huge role in keeping the team atmosphere good for the team and other individuals. Other than this, I can’t reveal anything till I retire,” he added. Dhoni has also led his team to glory three times in the IPL (2018, 2011, 2010). CSK have lost only three off their eleven matches in the IPL 2019, and much credit goes to Dhoni’s cricketing wisdom, though he is in the final stage of his career.